You can start getting fit today! 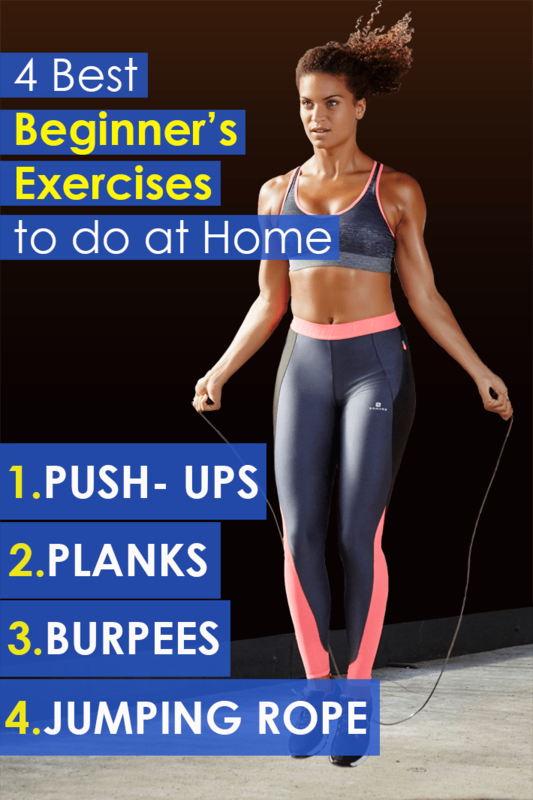 Here are 4 easy beginner’s exercises you can do at home and continue to do as your fitness level advances. While this is directed toward beginners, these exercises are good for anyone — especially busy people. 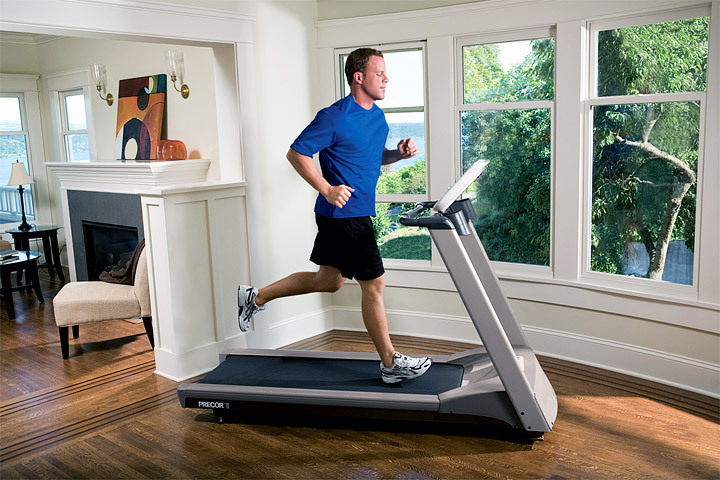 When you can’t make it to the gym or you are traveling, all you need is a little space to expend maximum effort. You don’t need to let a lack of time be an excuse for neglecting your fitness. Take this challenge. Do each of these beginner’s exercises three to four days a week for a month. You will be amazed at how much stronger your entire body feels, and you will be ready to take on new fitness challenges. I won a few fitness awards as a US Marine, and I always found that consistency and simplicity won the day. Overdoing it, complicated routines, etc. always seemed to get in my way. But when I was consistent and simple, I stuck with it and continually improved. You can experience the same results. Whether you have 10 minutes or an hour, use the time you have three to four days a week and you will see results. These results will motivate you to increase your effort and expand your knowledge, breadth, and level of fitness. Health Benefits: Chest, biceps, and core strength. Beginner to advanced. Simple Steps: Start with your hands facing forward on the ground, shoulder-width apart, and chest a few inches above the ground. Keep your body straight, resting on your toes and hands. Push up to a full arm extension then release back down to a few inches above the ground. Repeat. Keep your head looking down or slightly forward. Do at least 3 sets. If necessary, you can rest your weight on your knees instead of your toes to make it easier. Start with 5 to 10 repetitions for each set and build up from there. Health Benefits: Core strength. Beginner to advanced. Simple steps: Place your elbows under your shoulders with your hands directly out. Keep your head looking down or slightly forward and your body straight. Hold for as long as you can, until you can’t keep your body straight, then stop. Do this 3 times. You might start with only 15 to 30 seconds. Work your way up to 2 minutes or longer. Related: Do Plank Exercises Work? 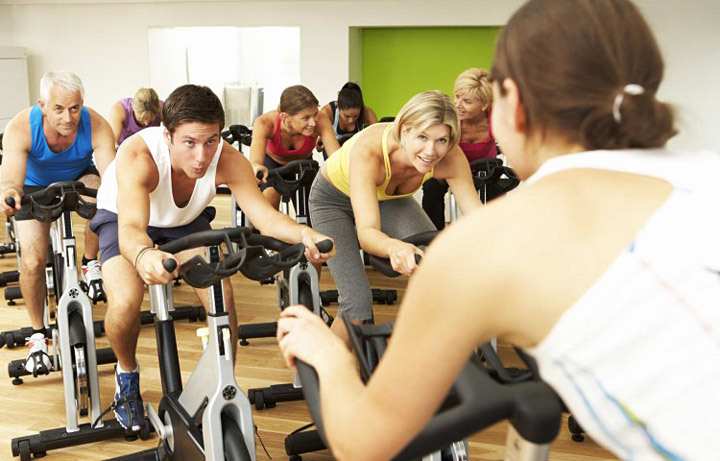 Health Benefits: Total body exercise, strength, and cardiovascular. Beginner to advanced. Simple steps: Start from a standing position with arms at your sides. Bend your knees and lower to the ground until your hands are touching. Kick your legs back and move into a pushup position, then kick your legs forward and jump up. Repeat. Start slowly and do for a minute. Increase your speed and the amount of time as you advance. Shoot for 5 to 10 minutes of burpees. Health benefits: Cardiovascular, core strength, arm strength, leg strength, overall body fitness. 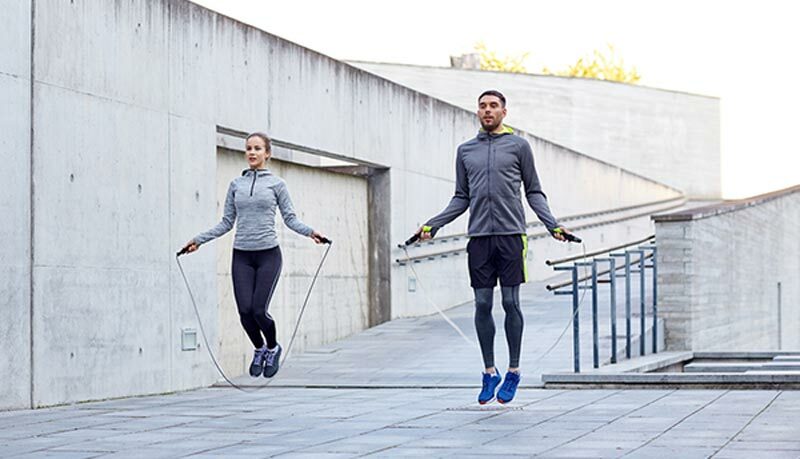 Simple steps: Buy a jump rope, go to back to your childhood skills and jump! Keep your head looking forward and your hands about waste height. Start with small goals, say a minute without stopping, then build up to 10 minutes or more. Exercise is addictive once you make it a habit. Building the habit is more important than what you do or how long you do it. Most habits take three months to establish, so if you are beginner, start your habit by committing yourself to three to four days a week. The amount of time doesn’t matter — do whatever you can fit in, even if it is only five minutes of the above exercises. Once you build this routine into a habit and you begin to feel the results, increasing the amount and type of exercises you do will be easy. And if even these simple beginner’s exercises seem overwhelming, remember the simplest thing that is guaranteed to get your fitness moving forward: go outside for a walk!